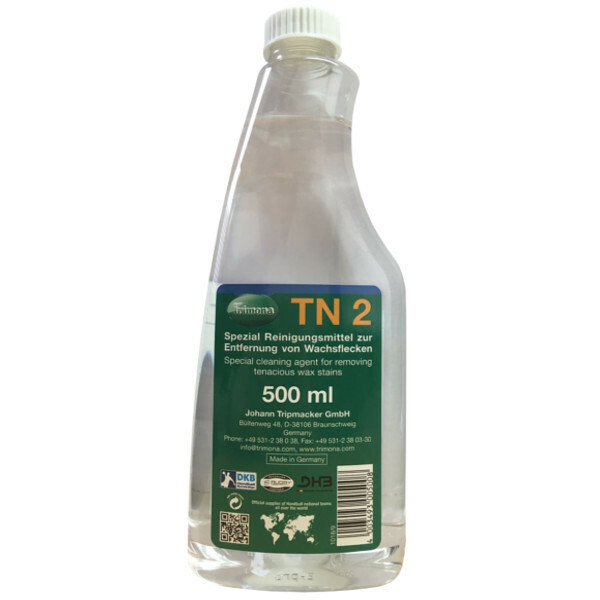 Spray Trimona TN2 directly on the stain and clean with a moist cloth. 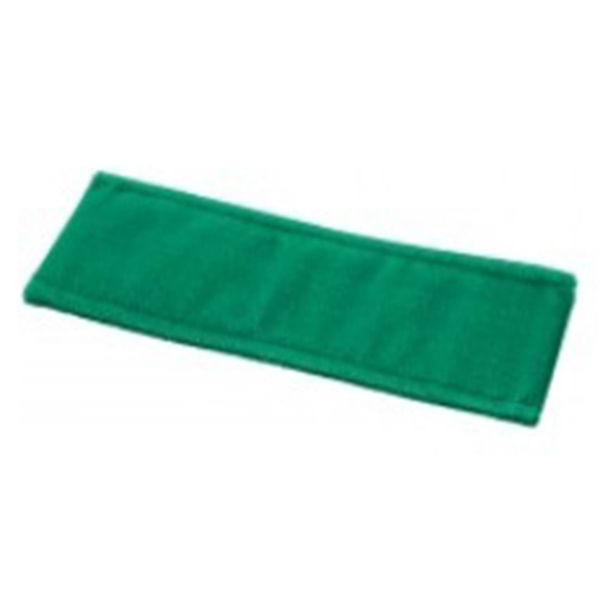 Remove any remaining traces of the cleaner with a clean wet cloth. For very heavy soiling, we recommend to let TN2 act for a while. 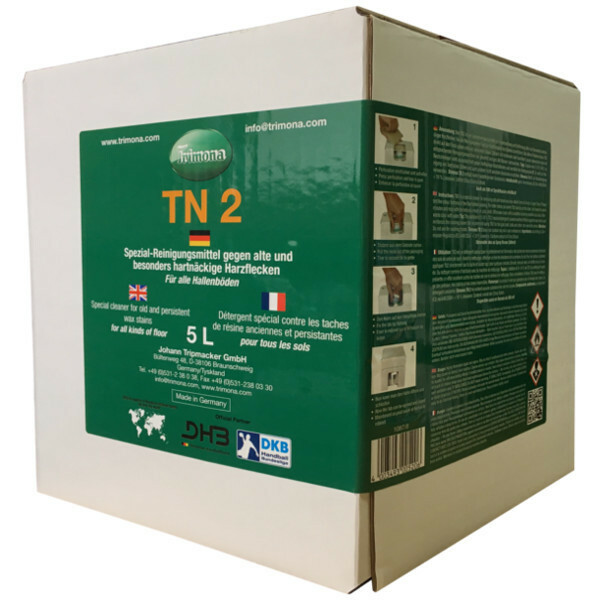 Trimona TN2 is also appropriated for the cleaning of screened and sticky balls: Apply Trimona TN2 to a cloth, wrap the ball in it, let it act for a minute and rigorously wipe (follow the care instructions of the producer). 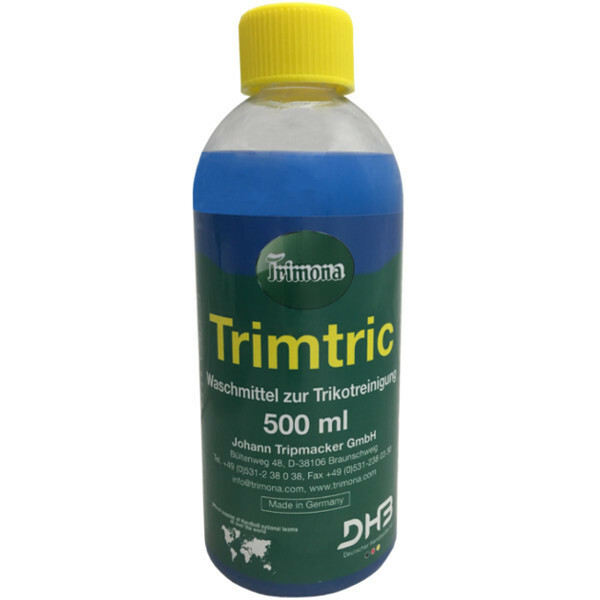 Trimona BEwaxFREE was developed especially for a fast and proper cleaning of hands. 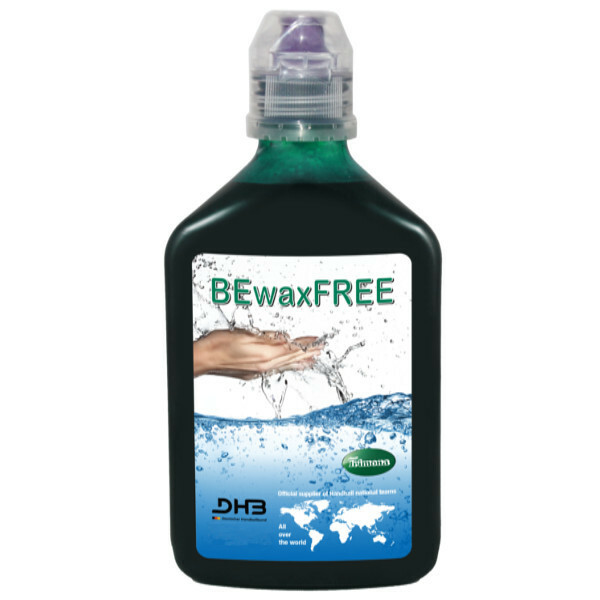 This oil based cleaner removes resin after the first application and is gentle on the skin. This results in clean and well-groomed hands! Please note: First try the cleaning agent on an unremarkable part (colour fastness)!